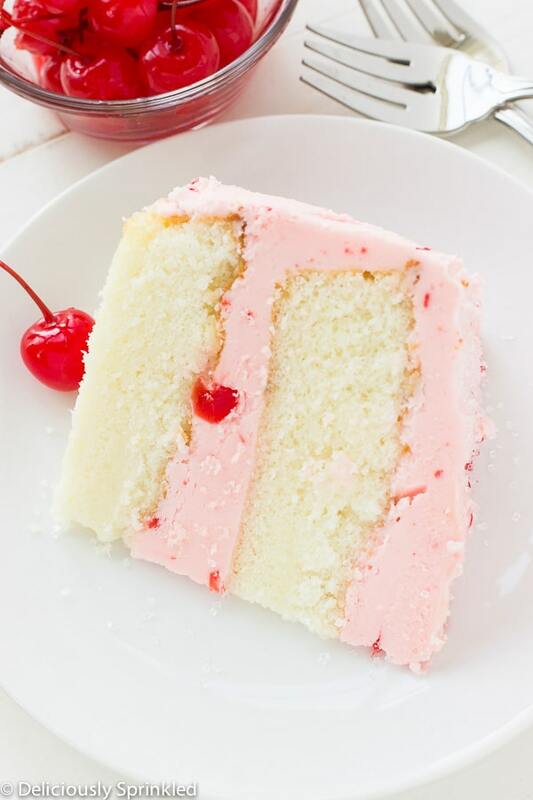 Cherry Almond Cake– This light and fluffy almond cake topped with maraschino cherry buttercream frosting is the perfect cake for any celebration! It brings me back to my childhood of drinking, Shirley Temple’s or Kiddie Cocktail’s like it’s they are called here in Wisconsin! As a kid, I would ALWAYS ask for extra cherries. So in honor of being a kid and having the best mom EVER, I’m celebrating Mother’s Day by making my mom this delicious Homemade Cherry Almond Cake. 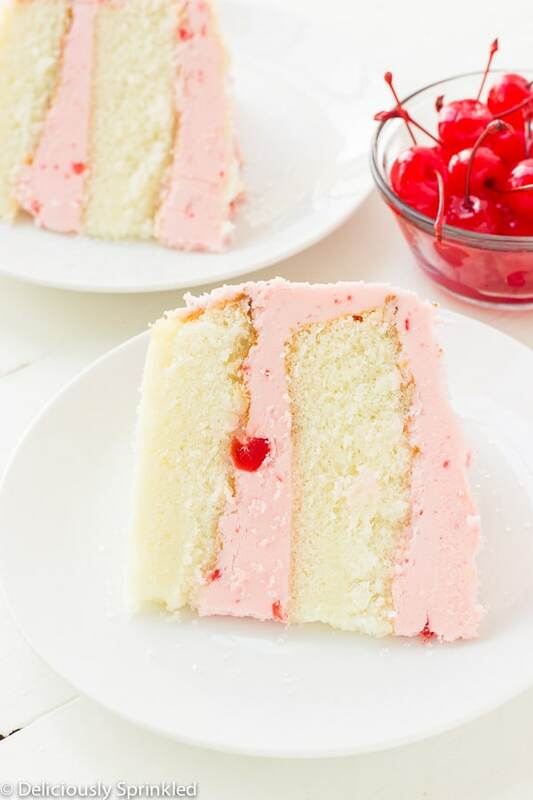 This Cherry Almond Cake is light and fluffy and it’s topped with maraschino cherry buttercream frosting. 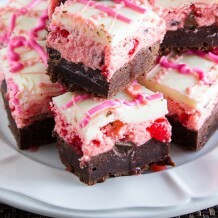 The cherry buttercream frosting is amazing, I could eat the frosting with a spoon. 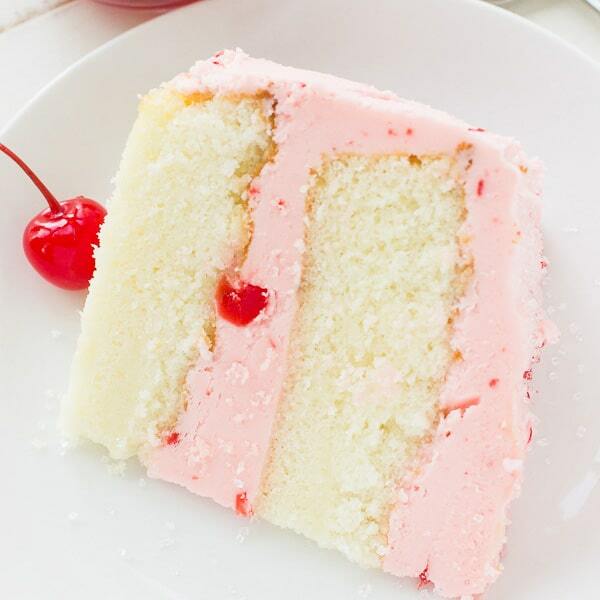 I love the pieces of maraschino cherries in the frosting. YUMMMM! ✓ FROSTING: For the cherry buttercream frosting, I recommend using heavy whipping cream because it gives the frosting that thick, creamy, texture that everyone loves on top of a cake. 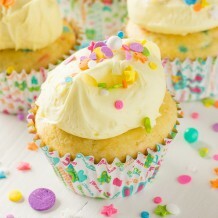 But if you don’t have heavy whipping cream, you can use milk but just note that your frosting might not be as thick. PRE-STEP: Preheat oven to 350F degrees. 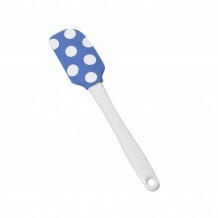 Spray (2) 9-inch cake pans with non-stick cooking spray. Set aside. STEP 1: In a medium bowl, mix flour, baking powder, baking soda, and salt. Set aside. STEP 2: In a large bowl, using an electric or stand mixer on medium speed, beat eggs and sugar for 2 minutes until LIGHT and CREAMY. STEP 3: Add the butter and almond and beat on low speed for about 1 minute, or until well blended. STEP 4: Beat in the dry ingredients on low speed until just blended. DO NOT OVER MIX! STEP 5: Add the sour cream and beat until smooth. CAKE BATTER WILL BE ON THE THICKER SIDE. STEP 6: Fill prepared pans HALFWAY with cake batter. 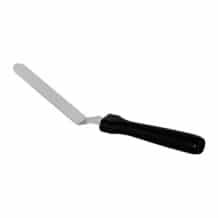 Bake for 23-25 minutes, or until a toothpick inserted in the center comes out clean. Let cakes cool in pans on a wire rack before frosting. 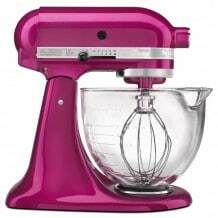 STEP 7: Mix softened butter on medium speed with an electric or stand mixer. Beat for 30 seconds until smooth and creamy. STEP 8: Add powdered sugar, heavy whipping cream, vanilla extract and jar of maraschino cherries. Increase to high speed and beat for 3 minutes. Add more cream if needed for spreading consistency. STEP 9: Assemble the 2 layers with a thick layer of frosting in between the layers. Then apply a thin layer of frosting on the top and sides. Place the cake into the freezer to harden the frosting for about 10 minutes. 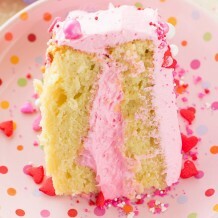 Apply one final thick and even layer of frosting around the outside of the cake. Hello, I , made this cake today for my brother’s birthday. It turned out great!